Torridon Youth Hostel i Torridon, Skotland: Reservér nu! Perfect for groups, families and outdoor enthusiasts, this purpose-built hostel offers a range of comfortable private rooms and spacious shared accommodation. None of the rooms are en-suite, but ample shower and washroom facilities are available. Guests can opt for a continental breakfast served in the hostel’s large dining room or take advantage of the well-equipped self-catering kitchen. After a long day in the mountains, you can relax with a local ale, fine malt or glass of wine in one of the hostel’s comfortable lounges and enjoy the panoramic mountain views. WiFi is free for all guests and other facilities include a large drying room, laundry and luggage store. Basic provisions, confectionery and soft drinks are available to purchase at reception. 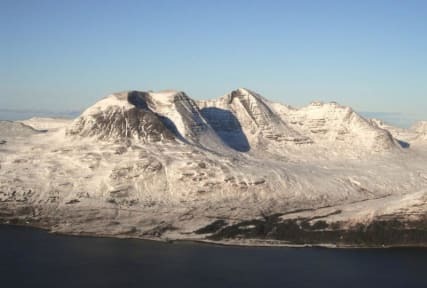 The mighty mountain Liathach, with its two munros, spectacular pinnacles and one of the most challenging ridge walks in Scotland, towers above the hostel. Other activities in the area include clay pigeon shooting, archery, kayaking and mountain biking. There’s onsite car parking for around 20 cars or 1 coach and a secure bike store for up to 20 bikes. 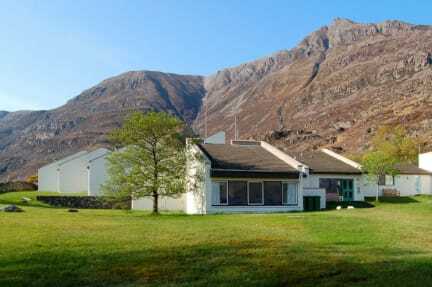 Dogs are welcome at Torridon Youth Hostel, for a small fee, when guests book a private room. Please note that dogs must be booked in advance to ensure that a dog friendly room is available.